First came the bombshell tweets that surprised even Trump’s own Pentagon last July. Then, nearly a month later, the actual policy directive: a memorandum telling the military to reverse its planned acceptance of transgender recruits and to reconsider whether transgender people already in uniform should continue to serve. Lawsuits from human rights groups quickly followed, as did temporary injunctions prohibiting the administration from implementing the ban while the courts sorted it out. Then on Friday, President Donald Trump’s administration unveiled a new version of the policy, one that would bar most transgender individuals from serving in the military and may require kicking out some active-duty members. It disqualifies anyone with “a history or diagnosis of gender dysphoria — including individuals who the policies state may require substantial medical treatment, including medications and surgery,” except under limited circumstances. The new policy is slightly more nuanced than the original tweets’ wholesale ban and is backed up by a 44-page report signed by Defense Secretary Jim Mattis. But experts in military and discrimination law say it’s unlikely to make it significantly easier for the policy to go into effect. Because just like the “travel ban” before it, they say, the way this policy was rolled out undermined it from the start. At first glance, Trump’s decisions to regulate borders and reshape the armed forces could seem safe from reversal by the judicial branch. Courts are generally more reluctant to intervene in the president’s decision-making on matters of national security. But that deference is not absolute, they reminded the Trump administration while adjudicating the ban on travelers from seven majority-Muslim countries last year. And when it comes to accepting things in the military they wouldn’t accept in broader society — a draft for men but not women, for example — the way those decisions were reached matters. It’s “absolutely essential,” said James Richardson, a lawyer who specializes in employment discrimination actions and whistleblower claims. And that’s where the ban on transgender troops runs into trouble, Richardson and several other lawyers said. By rolling it out in three tweets, without supporting analysis or new official studies, Trump provided the courts no evidence that the decision had a rational basis, not one rooted in sentiment. The newest version of the prohibition was “developed through extensive study by senior uniformed and civilian leaders, including combat veterans,” and “sets forth a policy to enhance our military’s readiness, lethality, and effectiveness,” White House Press Secretary Sarah Huckabee Sanders said in a press release Friday. In his memo, Mattis wrote that he convened a panel of senior officers, civilians and enlisted leaders that met 13 times over a span of 90 days to review the department’s policies. It was necessary, not just because Trump’s August memorandum ordered it, but also because the RAND report contained “significant shortcomings” and the issue’s “proven more complex than the prior administration or RAND assumed,” the secretary wrote. 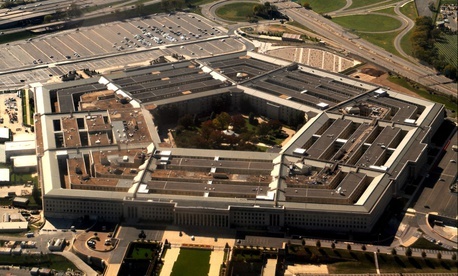 Now, for the first time, the Pentagon is able to say how many transgender persons currently serve: 8,980: 937 of whom have been diagnosed with gender dysphoria. It examined rates of mental healthcare use, finding from a preliminary review of data from the Military Health System that “service members with gender dysphoria are eight times more likely to attempt suicide than service members as a whole.” The panel considered that kind of internal data, solicited input from commanders, and reviewed existing medical studies to conclude that individuals diagnosed with gender dysphoria who require medical transition or who have already transitioned pose a risk to readiness. As with other parts of the report, the panel acknowledges that at times evidence is conflicting, but ultimately errs on the side of preserving readiness and unit cohesion. But it still may not be enough to overcome the four existing legal challenges against the policy. Firstly, it’s more difficult to strip people of rights they already have than it is to expand them, Paradis said. Transgender persons have been serving openly since the Carter policy went into effect in 2016, and the military began accepting transgender recruits on Jan. 1 by court order. Second, the fact that Mattis’s study came after the president had apparently already reached a conclusion will cast doubt on its findings. We’ve seen this play out before: As the courts litigated challenges to the Trump administration’s initial ban on travelers from the Middle East and North Africa, judges routinely cited the president’s tweets as justification to block the ban. That legal battle is a good case study for how the lawsuits against the transgender ban might play out, Paradis said. Only with version 3.0 of the travel ban did the Supreme Court finally allow it to go into effect. (Though cases are still proceeding against it). Right now, the Pentagon says the new troop policy is on ice as the initial injunctions stand and the cases work their way through the courts. Nor will they answer questions about it while those challenges are ongoing. On Monday, Mattis declined to talk about the report at an event welcoming foreign officials to the Pentagon. “Right now, because these are matters under litigation, I'm not going to discuss them further,” he told reporters. “I think the statements stand on their own right now, and I don't need to waste our guests’ time reiterating what's already down."